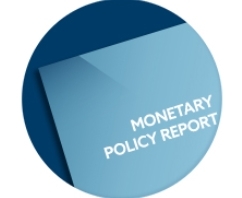 Monetary Policy Definition - How to Interpret It? Monetary policy is the sum of all decisions taken by a central bank. The monetary policy is not just hiking or cutting the rates, but all the things that a central bank is doing: communication, implementation, and forward guidance. We covered the forward guidance principle here on a different article but also what a central bank’s role is. But there is still need to explain in more details what monetary policy is and why Forex trading depends on what central banks are doing. Central banks are independent organisms that monitor the economy and set the interest rate for that specific currency. The interest rate is not changing at every central bank’s meeting, and neither the monetary policy. When it comes to interest rates, a central bank has three options: to keep the rates steady (no hike and no cut), to cut them or to hike them. The currency moves aggressively when the interest rate is changed: if the interest rate is raised, the currency will appreciate, and if the interest rate is cut, the currency will depreciate. It is only normal for this to happen: everyone wants to own a currency that pays a higher interest rate or to dump the currency when the rate is falling. When the economy is growing, the central bank is raising the interest rates. This can be part of a tightening cycle or the change in the interest rate is only to curb inflation. On the other hand, when the central bank is cutting the interest rates, this can be the start of a so-called easing cycle or just part of adjusting the rates. Nevertheless, any changes are part of the monetary policy. To the surprise of many, a central bank is not mandatory to hike or cut the rates or to move on rates after every meeting. The decisions made at a central bank’s meeting need time to implement and even more time for their effects to be seen. Therefore, the central bank will, most of the time, engage in communicating to market participants their intentions regarding rates and the economy overall. The perfect example comes from Bank of England. After the 2008 financial crises, the Bank of England didn’t change rates for many years to follow, even though the Monetary Policy Committee (MPC) is meeting monthly. The committee simply assessed the economy for the last month and communicated the future monetary policy stance, without acting on rates. Central banking is a tough business, as the monetary policy needs to reflect and address the problems an economy faces. There is no straight road when it comes to monetary policy and standard measures do not always work. As mentioned earlier, raising or hiking rates comes because of inflation rising or falling. But what it is to do when inflation keeps falling and the interest rate is already at the zero level and threatens to fall even further? When inflation is falling below the zero level, it is said that deflation is gripping the economy. Fighting deflation is a totally different thing than fighting inflation. In fact, it is even more difficult to fight deflation than inflation. To fully understand, deflation is forming when consumers stop spending. When this is happening, a vicious circle starts: no spending means the stores are not selling their products anymore. This, in turn, will lead to inventories building and the store is not going to order more goods. Factories will not produce as much and they must lay off people. This, in turn, will result in more people applying for unemployment benefits, and this will be a government’s problem. To fight deflation, unconventional measures are applied. All major central banks in the world, in the last few years, have embarked in QE (Quantitative Easing) programs. Under such programs, the central banks are buying their own government bonds, and not only. The main idea is to create inflation, as this should be the result of an expanding economy. However, this is a dangerous thing to do, as history shows us creating inflation is almost always spirals beyond control. All central banks in major economies, starting with the Federal Reserve in the United States, Bank of Japan, and ending with the European Central Bank and Bank of England, engaged in various quantitative easing programs. While the Fed ended the program and now entered a tightening cycle, the European Central Bank is still running an aggressive QE program destined to stimulate the Eurozone economies. The same is valid in Japan, where Bank of Japan is still buying all the Japanese Government bonds it can get its hands on. Other unconventional measures are moving rates in negative territory (European Central Bank, the Swiss National Bank and other Nordic countries in Europe are following the same policy), TLTRO’s (Targeted Long Term Refinancing Operations), TARP programs (Troubled Assets Relief Program) and so on. The idea is that a central bank will stop at nothing to bring inflation back on track and, with it, the economy growing. Inflation is part of a central bank’s mandate and dealing with it is the main task.